My current research is focused on extragalactic dense molecular gas: how we detect it, what causes it, and how it relates to star formation. This research is done in collaboration with my graduate advisor, Dr. Adam Leroy. How do we detect extragalactic dense gas? We observe molecular emission lines that have high critical densities, that is, that only efficiently produce light at high gas densities. With a critical density over 1000x the mean density of most molecular clouds in the Milky Way, HCN (1-0) is a great option. Unfortunately, this and other high critical density lines are very faint and so are hard to observe over large parts of other galaxies. Fortunately, the with the advent of ALMA, mapping the entire disks of nearby galaxies in HCN (1-0) at high resolution has become feasible. However, there are a few caveats to this approach. First, even though HCN (1-0) emits most efficiently at or above the critical density, it still emits some light at lower densities. So we cannot be sure that all HCN emission is coming from high-density gas. Furthermore, the critical density changes depending on environmental factors such as optical depth and temperature. So we don't know exactly what the critical density is in any given region. Part of my research involves exploring how well HCN (1-0) traces dense gas in different environments. How gas density varies as a function of environment is still a very open question. One way we can try to get a handle on this issue is to compare the dense gas fractions of different regions in different galaxies. We use the dense gas fraction for this instead of the dense gas mass because it mitigates the effects of beam dilution. That is, if molecular clouds make up only 10% of the telescope beam in one region and 50% in another and we measure the dense gas mass (via HCN (1-0) intensity), we would assume that the gas is denser in the 50% region than in the 10% region when really there are just more clouds. If, however, we measure the ratio of dense gas mass to total molecular gas mass, we will not be mislead by this effect. Part of my research involves exploring how the dense gas fraction changes as a function of molecular cloud properties (e.g. mean surface density, virial parameter, Mach number) and as a function of large-scale environmental parameters (e.g. stellar surface density, dynamical equilibrium pressure, molecular gas surface density). How does gas density relate to the star formation rate? We know from observations of Milky Way molecular clouds that stars tend to form in the densest regions of clouds. Extragalactically, there have been claims that the dense gas mass uniquely determines the star formation rate. Such claims assert that stars form with some constant efficiency above some threshold gas density and not at all below that density. However, other studies claim that star formation depends not only on density but also on factors like pressure, Mach number, and virial parameter. One way to test these theories is to measure the ratio of the star formation rate to the dense gas mass, the dense gas star formation efficiency, and measure how it changes in different regions of different galaxies. Part of my research involves exploring how the star formation efficiency of dense varies with enviornment. Astronomy is incredibly useful. It solves practical problems - allowing us to navigate by starlight and later by satellite, revealing the power source of stars and helping us protect and understand our environment on Earth. It also serves more abstract purposes - changing the way we think about the universe and our place in it and answering fundamental questions like are we alone in the universe, how did we get here , and where our universe is going. However, precious astronomical methods and discoveries would sit idle and useless without clear communication between scientists and their colleagues, their students, and the wider public. It’s only by sharing science that we reap its benefits. 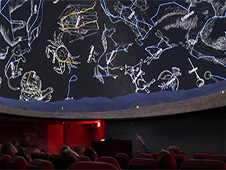 Teaching and outreach are, therefore, of paramount importance to the scientific process and for astronomy. I have a great passion for sharing astronomy, physics, and the tools of science with others. The Green Bank Telescope in Green Bank, West Virginia is the largest fully-steerable telescope in the world. Its large size makes the GBT a powerful tool for observing faint sources. Covering a frequency range from 0.1 to 116 GHz, this versatile telescope has applications in areas ranging from cosmology to local gas physics. 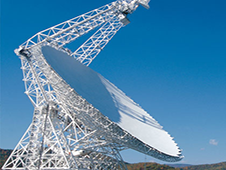 Even in the era of modern arrays, large single-dish telescopes like the GBT are essential for filling in the short spacing information that arrays struggle to recover. I have observed on the Green Bank Telescope both on-site and remotely for the DEGAS large program which aims to map HCN (1-0) and other dense gas tracers across the inner 2arcmin x 2arcmin of 36 nearby star-forming galaxies. The IRAM-30m telescope in the Spanish Sierra Nevada is a large, fully-steerable radio telescope that operates in the millimeter regime (1-3mm). It's high elevation and large size make it ideal for observing the millimeter regime dense gas tracers that I am particularly interested in. 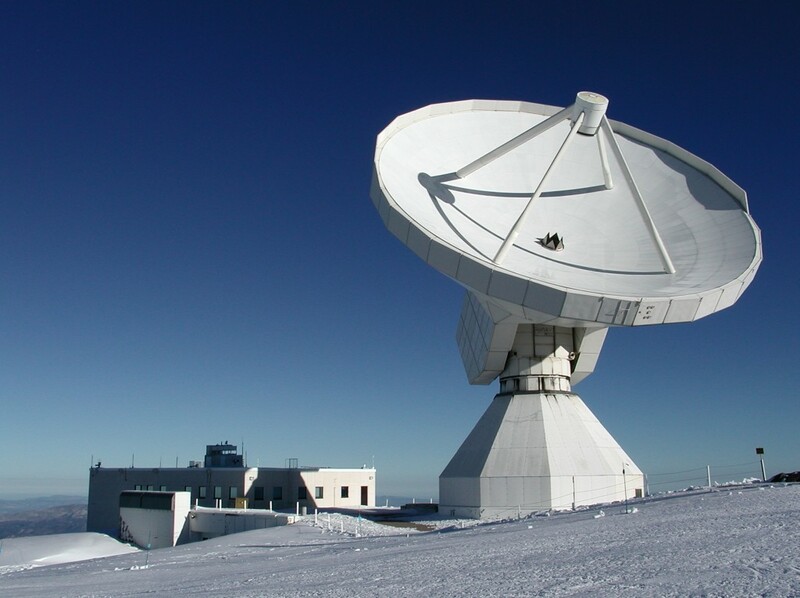 Again, as a large single dish, the IRAM-30m telescope is a crucial complement to arrays like ALMA because it fills in short spacing data, revealing large-scale structure. I have observed on the IRAM-30m telesclope both on-site and remotely for the EMPIRE large program which aims to map HCN (1-0) and other density-sensitive lines across the entire area of 9 nearby star-forming galaxies. 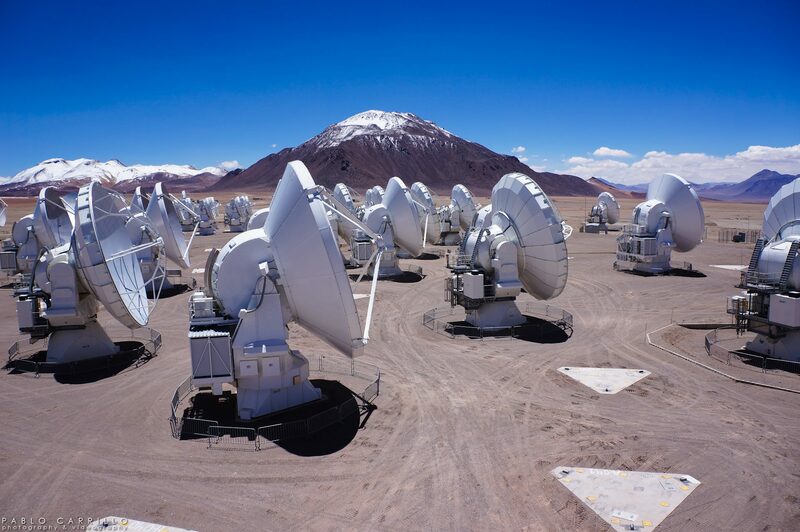 The Atacama Large Millimeter/Submillimeter Array is the largest radio array in the world. Its large size and large number of telescopes within the array give it both unprecedented sensitivity and high resolution. 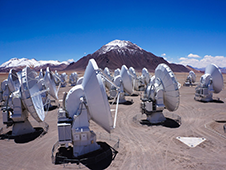 Sitting 5000m above sea level in the dry Atacama desert, the array also suffers very little from the interference of water vapor in the atmosphere, making it ideal for millimeter wave radio observations. 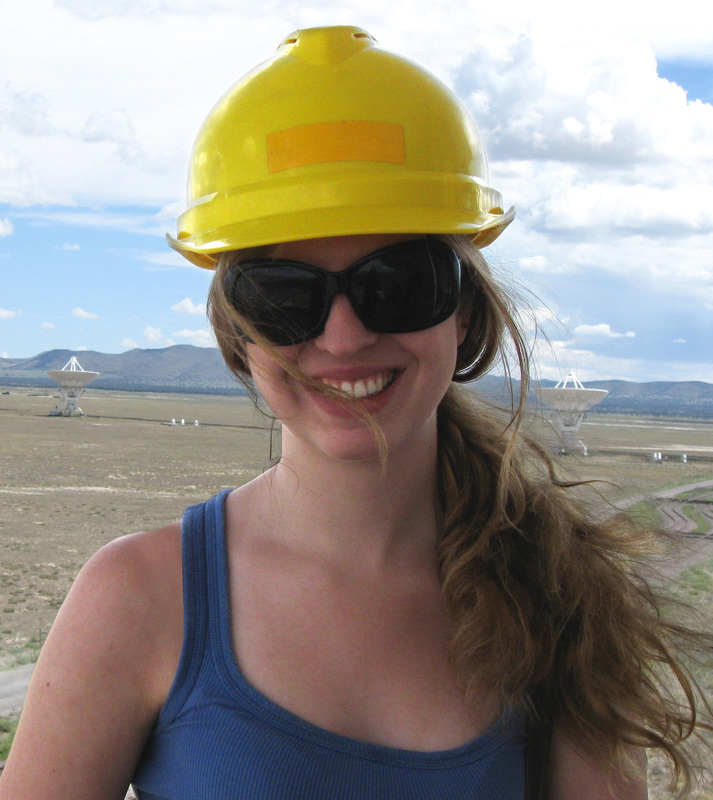 ALMA is the key tool that makes much of my research possible. Without its high resolution and sensitivity, observing the faint, high critical density lines at high enough resolution to recover meaningful enviornmental information would be impossible. In addition to using ALMA data in much of my work, I have submitted a successful priority A ALMA proposal for Cycle 5 and look forward to writing on the results of that data soon.